After writing the review about the new VertDesk version 3 (v3), I realized there was a lot left to the story. Making the transition from version 1 (v1) to version 2 (v2) was an almost three year journey. The recent step taken was much shorter, but felt like an eternity. After being one of the first to market an electric standing desk at a reasonable price, we found ourselves well behind the pack by 2015. Given multiple opportunities to offer Jiecang products, we declined the US rep each time he reached out. We wanted something different, a product that we felt was better and for less money. 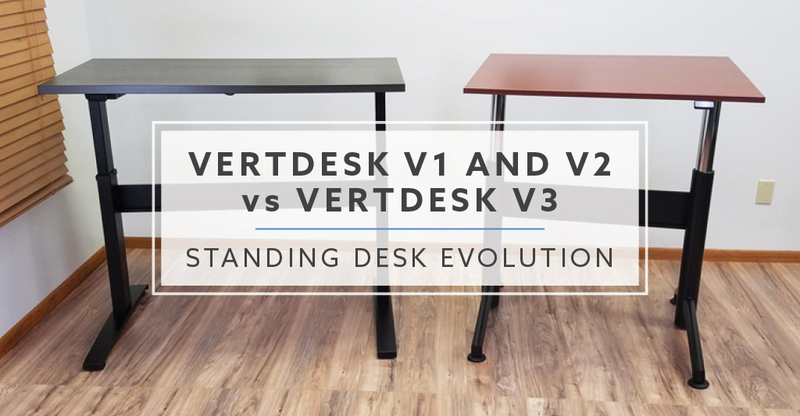 My recent post talked about the history behind the VertDesk v1; from concept, to a final product. While it was a good product when initially launched, it quickly found itself dated. Our constant struggle with our electronics provider only made the situation worse. After making multiple changes with the electronic pack (motor, control box and switch), we finally gave up on the Chinese manufacturer, TiMotion. Making the switch to LogicData for our v2 electronics was liberating. Knowing that issues with our motors and control boxes were over, we finally felt at ease. While I may be exaggerating to some extent, the feeling knowing our customers were unhappy during this time was terrible. Making the switch was an eye opening experience, seeing how the switch to a better provider completely eliminated past electronics issues. The VertDesk v1 and v2 had many flaws with the frame, many originating from the round tube design. Because of this design, we had stability and occasional squealing issues that originated from multiple locations. This problem likely existed because the frame was engineered by a small unknown Taiwanese factory. Having my father, Bill Knighton, develop the new VertDesk v3 from ground up, eliminated these engineering issues from the original frame. The first weakness originated at the bottom of the base, within the feet. Small plastic inserts were inserted into the metal foot extensions. 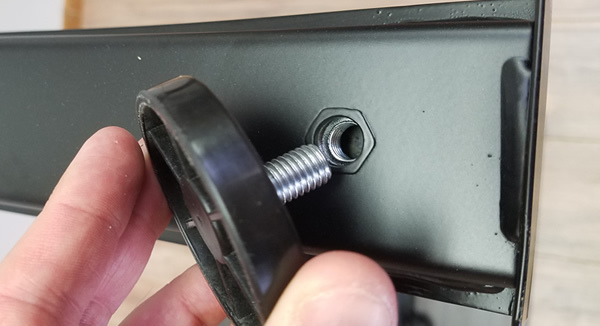 Within the plastic was threaded inserts to attach the leveler glides. Because of the plastic they would shift and flex and were not stable. 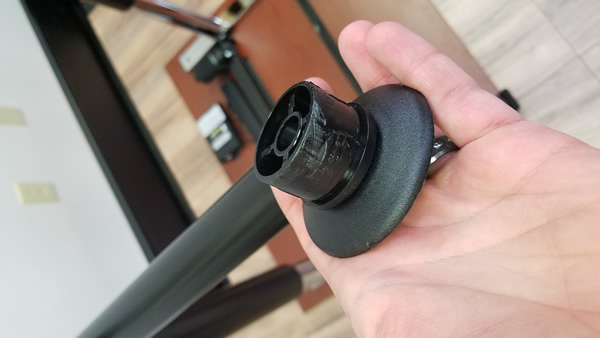 Solution: With our new foot design we were able to attach strong rivet nuts inside for a more secure connection. Our second issue was the design of the round columns and the bearing system used between the two columns. 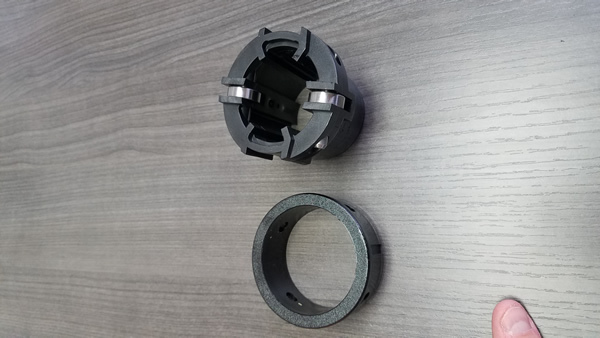 The main bearing was made from metal; however, there were smaller plastic bearings as well. The plastic bearings didn’t really do anything except increase cost on the base. 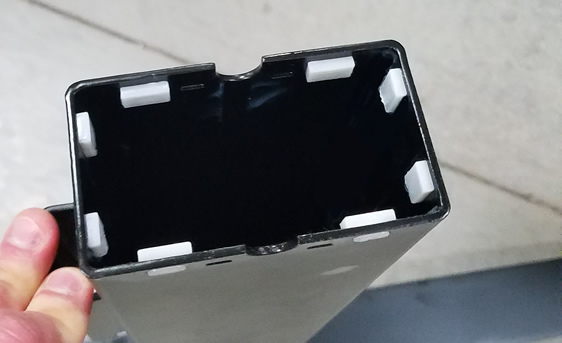 Solution: The new base uses molded acetal glides that are found around all four sides of the inner and outer column. This creates a smooth and stable movement. 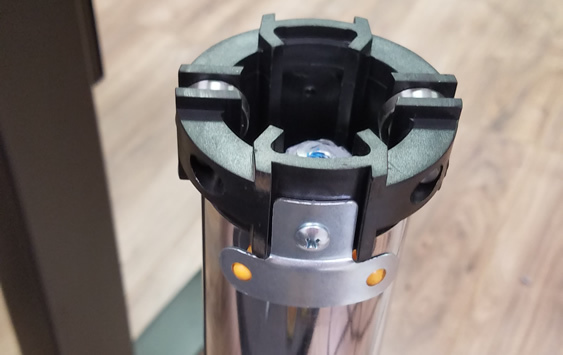 Our third issue with the frame was related to the round tube design. Our cross support reduced left to right wobble; however, the front to back motion still existed because of the round shape. 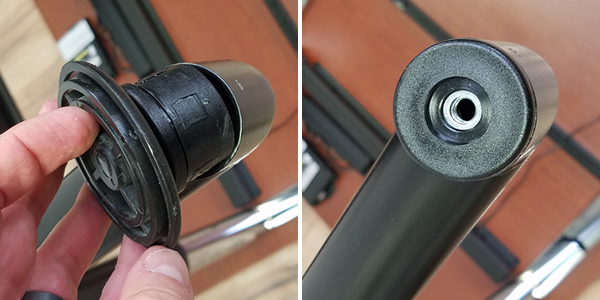 To counteract this problem, the frame manufacturer had small set screws on opposite sides of the outer column. Unfortunately, when you tightened the set screws the desk would begin to squeal. 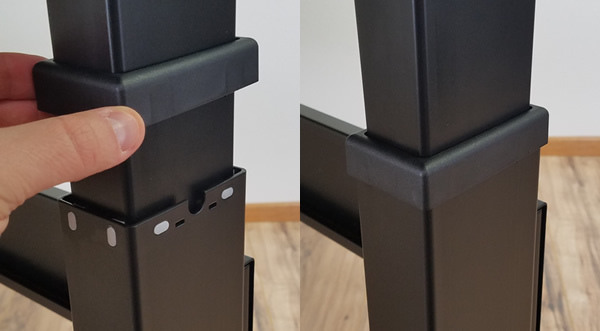 Solution: Similar to our solution for the 2nd problem, molded acetal glides have created a better fit around the column. The new design has eliminated almost the entire front to back motion. Only when the desk is raised to 46” will you begin to notice some motion. The frame had extra structural components added to increase the stability. One of these was a metal cross bar that ran between the upper supports. 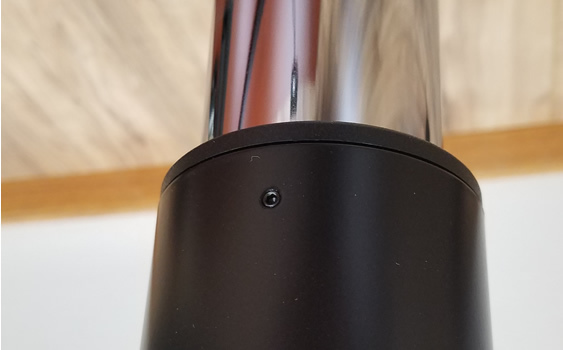 The square tube was only about 8” back from the front edge of the desk. This would significantly limit what could be mounted to the desk. This meant that spanning brackets were required to attach CPU holders and keyboard trays. While it wasn’t complicated, the customer had to spend extra time dealing with these. Solution: The new frame is strong and doesn’t require the extra support. We have also gone with a thicker work surface that doesn’t require extra support in the front to prevent bowing of the surface. In order to cut down on our quality control issues, we have brought the assembly of the VertDesk v3 to the USA. We are now shipped pre-assembled columns, feet and work surface supports from our Taiwanese partners factory. The gears are shipped to us from Ketterer (Germany) and the electronics come from Laing Innotech (Hungary). The US factory produces the cross support, hex rod cover and work surface. All of the parts are then assembled and boxed for shipment from the Wisconsin warehouse. VertDesk v3 is Now Less Expensive. How? We had set a goal to build a better product, for less money. The obvious question then has to be: how did you bring assembly to the USA and create a better product, for less money? The answer is that we removed a lot of the unnecessary plastic parts found within our first frame. Molded plastic parts can drive up the cost quickly, and in the case of the v1 and v2, it also decreased the stability. We also eliminated the chrome portion of the upper column, which was expensive to produce and bad for the environment. Lastly, our new frame didn’t require the extra square tubing that ran between the upper supports. 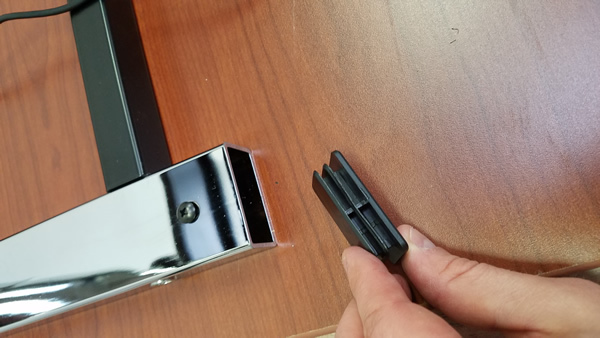 Below are a few of the molded plastic parts found in the VertDesk v1 and v2 frame. With the recent change, we have fulfilled our customers request to offer more standard colors. Our v1 and v2 came with two color options in a ¾” thick top. We have updated the standard top options to include all 10 custom colors, with the 1 1/8” thick top. All colors ship within five business days and include the wood essence finish. 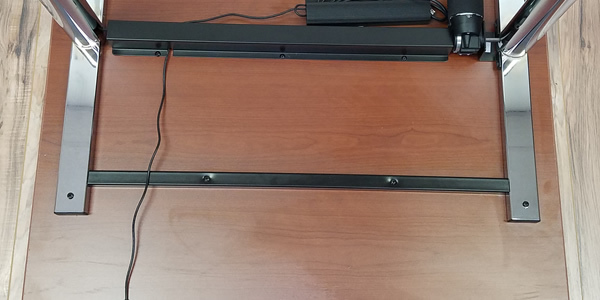 We have added two new frame options for the VertDesk v3. It is available in 24” and 30” depth options. There is also black and silver frame finish colors available. As you can imagine, BTOD is very excited for the opportunity to offer the latest version of the VertDesk. After making significant strides, I feel that our brand has regained the position as a leader in mid-range standing desks. 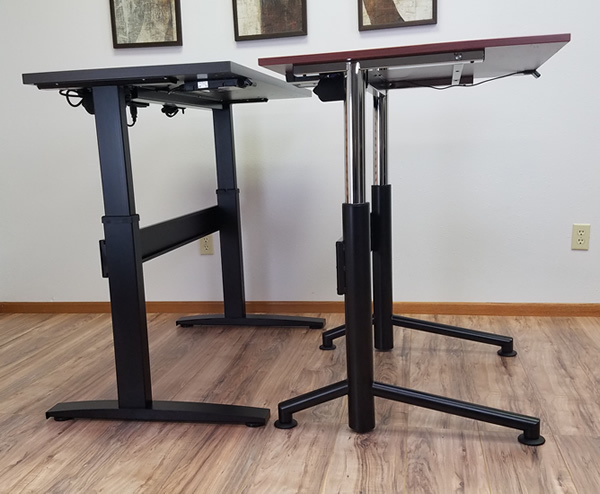 Offering a higher quality electric standing desk that is up to 10-20% less money than our competition. Unfortunately, in our quest for standing desk greatness, we had tough decisions to make on weight capacity and range of motion offered. 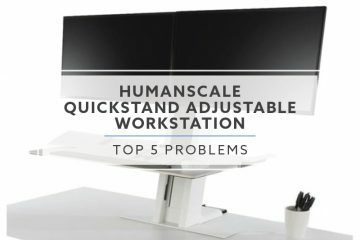 We were not willing to sacrifice stability for adjustment range, and for this reason our desk tops out at 47.5”. For the same reason, we have gone with a more conservative 275 lbs. lifting capacity. 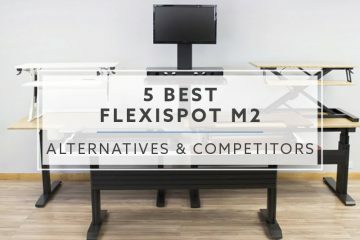 This likely means that the VertDesk v3 will not be a perfect fit for everyone. For those that it will fit, I can assure you that there isn’t a better mid range product available. 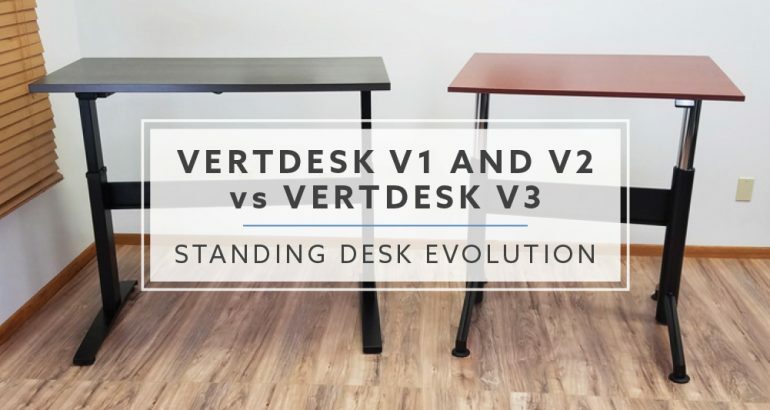 How long will your VertDesk v3 last? We tested to find out. 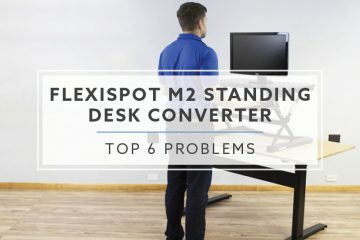 How Much Does an Electric Standing Desk Cost?